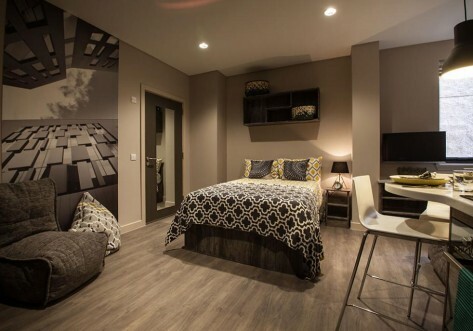 Woodside House offers stylish student accommodation in Glasgow. 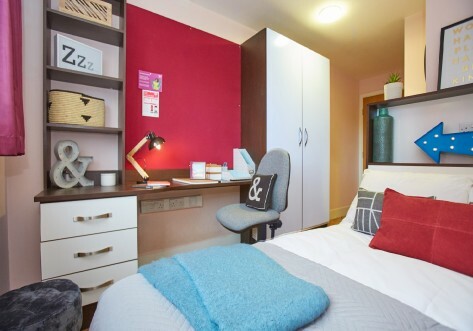 Perfectly located for The University of Glasgow, Caledonian University and the University of Strathclyde! 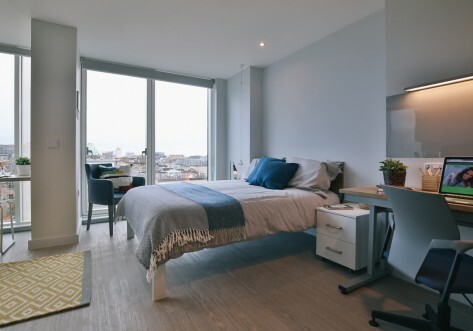 There’s way more to Woodside House than just your room, get your head down in the quiet study rooms, or work on some group work in the communal study rooms. And for those post uni moments hang out in the stunning glass-walled Sky Lounge, the ultimate place to catch sunset over the city. 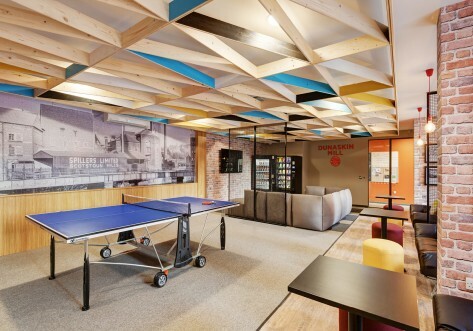 You can even get your Masterchef on and host a dinner party in the private dining room, or take a trip to movies in the on-site cinema room, or sweat it out in on-site gym. At Woodside House everything is right where you need it! And there's no need to stress over bills, as these are included along with Wi-fi and even underfloor heating! Woodside House is perfectly located for The University of Glasgow, Caledonian and Strathclyde University. Nearest station is Kelvinbridge Subway Station. This beauty of a studio comes with space guaranteed. Ideal if you’re flying solo and like to spread out or there’s room enough for two to share at no extra charge. Go Superior and we’re really giving you space to do your thing. Still treated to the en-suite shower room, small double bed, oodles of storage, fitted kitchen and study area but now with so much more clearance to enjoy them. More than enough room for two to share and the price doesn’t change.